What the heck is all this “FUN” stuff about, anyway? 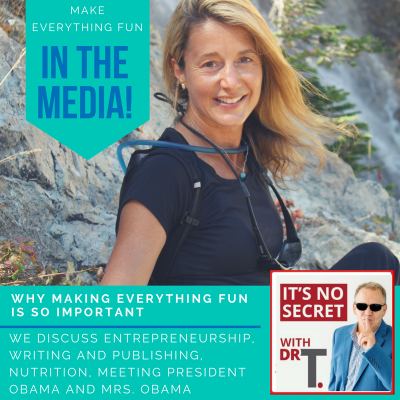 I want to thank my dear friend Melinda Wittstock for putting my feet to the fire to really explain what the FUN behind my brand is all about. 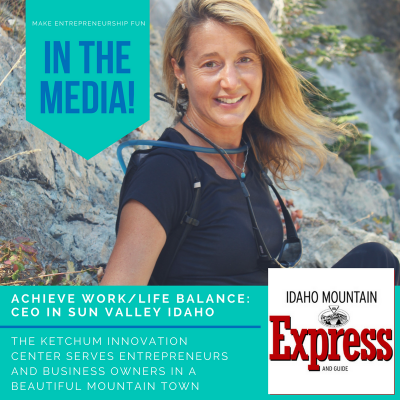 Melinda is a 4X serial entrepreneur, tech visionary, award-winning journalist, marketing maven, single-mom, mentor to women in business, and host of the popular Wings Of…Inspired Business podcast (and the list goes on). She’s innovated, succeeded, failed, learned, and grown over and over again. She is the real deal! 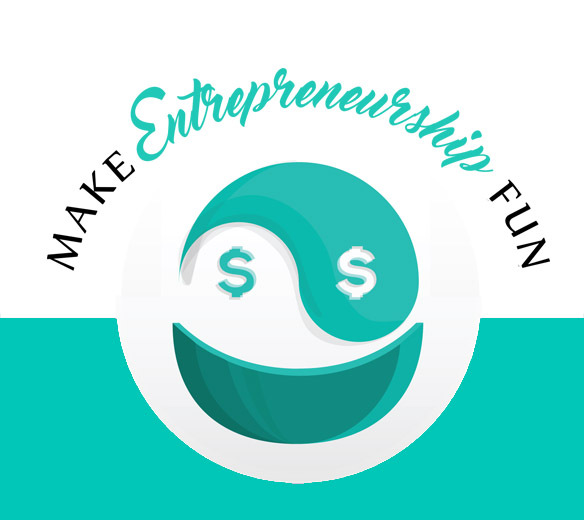 And now she’s creating a MASSIVE empire of ‘conscious entrepreneurs’ with women (and men) just like you, and is reinventing the way business is done. 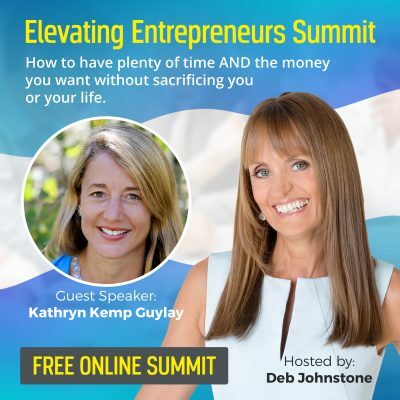 So if you’ve ever felt “stuck on the startup sticky floor”, in overwhelm and stifled in all the noise, or your business just isn’t growing fast enough… then you don’t want to miss this! She’s asked me to be part of it…And she’s given me free passes for you! It’s called WINGS of Success! We all peel back the curtain to unveil exactly how we built our multi-million dollar businesses around our chosen dream lifestyles – and grew our influence and social impact – on OUR own terms. And my topic? Yes, I’ll be speaking about FUN. Fearlessly Unleashing (your) Next-level. I’d really like for you to grab your access to the whole summit, so I’ll just give you a quick overview here of what we talk about in the interview I did with Melinda. 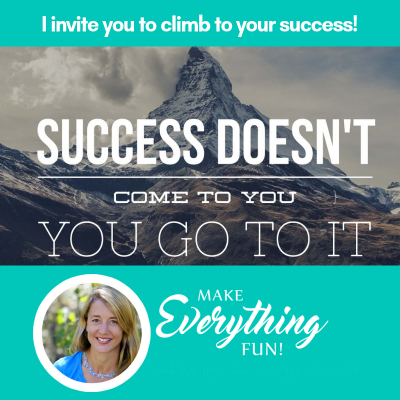 What keeps us from achieving success? In the interview with Melinda, I show a picture of our brain. I point out the amygdala or the deep structure of our brain that is responsible for that fight or flight response. The amygdala comes on line when we fantasize (negative) experiences that appear real, such as losing a job, hearing that our child is hurt, or being poorly judged by others socially. The brain does not know the difference between a very vividly imagined event and something that is actually going on. When we experience FEAR, we see the physiological responses of increased heart rate, respiration rate, and our pre-frontal cortex (our human decision-making part of our brain) goes offline. It is tough to make excellent decisions for optimal success when we are simply physiologically trying to survive. How can we break that FEAR pattern? -What do you become when you believe those thoughts? -What would you be without those beliefs? See more (and watch a video about Cognitive Behavior Therapy) here. Once we can get past the fear, how do we achieve true success? So when people come to me with these tactical questions, I really urge them to take a step back, zoom out, and think about their overall goals in life. Form a Team. Another thing I deal with in helping my clients is giving them tools to overcome a sense of overwhelm. As an entrepreneur, there are SO many things to get done. Yes, books and podcasts and guest podcast appearance, but also your brand- your messaging, your value, what you want to communicate, how you’re going to nurture and keep in touch with your tribe. Then the website, technical stuff, social media, the list goes on! Often with entrepreneurs, they end up being the “lone wolf” and trying to do it all alone. There is a fear (see this word again?) around hiring people and sticking to a budget. In the interview with Melinda, I talk about the Avengers and other superheroes. Look at Wonder Woman who really gathered her strength with her friends. When building your team, find teammates that might be really good at something that you’re not. Maybe you don’t love to sell. Or maybe you don’t love the tech side. Then you find somebody that loves to sell, or that loves the tech side, probably find those in two people. But it’s really the idea of the team always being synergistic. One and one does not equal two. It always equals three, as long as you’re finding people that have different strengths from you. Have Fun. Here I present what fun formula. FREEDOM means different things to different people, but for me, it means freedom from the cubicle. We want freedom to be able to set our own agendas and achieve our life’s objective and purpose. But we cannot forget these other links in this chain of the fun formula. I talk about family. Of course, FAMILY is the foundation. Having a positive relationship with your FINANCES is another important aspect of fun and wellness. This article will give you some tips to up the fun factor in this area. FITNESS and FOOD have to do with well-being. I like to think of food as fuel that gives us the energy levels that we need to sustain for a very successful life. FAITH doesn’t have to necessarily be a religious practice, it’s really more about knowing that there is something greater than ourselves. Tip #1: Smile. Babies smile all the time, and of course, they get the most enthusiastic responses from those around them. Smiling actually creates this chain of events in your body in a similar way (but a POSITIVE way) to fear, where your body senses that “all is well”. Smiling actually releases endorphins in your brain. It makes you more likable. There’s something called mirror neurons, so when you smile, other people smile. Smiling makes you more successful. When you speak, you can hear a smile in somebody’s voice. I always tell people that when they get on interviews or speak, make sure to smile! Tip #2. Laugh! Kids laugh around 400 times a day, yet adults laugh only a fraction of that. Laughing has similar benefits to smiling, but you get the added benefit of an abdominal workout! Tip #3: Offer compliments and positive comments to others based on a concept called The Losada Line. This concept comes from the work of Dr. Losada, who studied very effective teams; what he noticed is that in highly effective teams, the positive comments as a proportion to negative comments was much greater. What you can see here is it’s three to one, so three positive comments to one negative are where we draw the line, the Losada line. That’s how to neutralize any negative comments (with three positive ones). As the positive comments go up, then the effects of those positive comments increases, and you achieve the greatest teams when there are 11 positive comments to one negative. Pretty cool! Tip #4: Create a Jar of Awesomeness. I got this from Tim Ferriss, actually. When something goes really well, write it down on a little slip of paper and put it in a jar. You just kind of keep filling up that jar, and then you are READY when you have a bad day. When you have a bad day, start taking out all those little slips of awesomeness until you feel better. Why is this an effective strategy? Because we have this thing called the negativity bias. I won’t go into detail here about the negativity bias, but it basically means that our brains are like Velcro to negative events, and it’s like Teflon to positive. We tend to let the positive things kind of slip out of our memories, but we ruminate over negative things. What the jar of awesomeness allows us to do is it kind of allows us to cut that circuit so that we can then get back onto the positivity, which, by the way, feeds positivity. You will start to attract all these other wonderful things that happen because success begets success. On the other side, ruts beget ruts. The jar of awesomeness is something I encourage everyone to start. I actually have one with my daughter and write down nice things about each other. Have fun along the journey.